He’s the reason for the season, so the saying goes. We celebrate but once a year (for 4o days or so) and as you go through your days, beginning at Thanksgiving, you hear every type of Christmas music from every speaker you pass. Here is are the Carols before the songs, these were meant to inspire and create a true Christmas spirit of love for each other and giving. 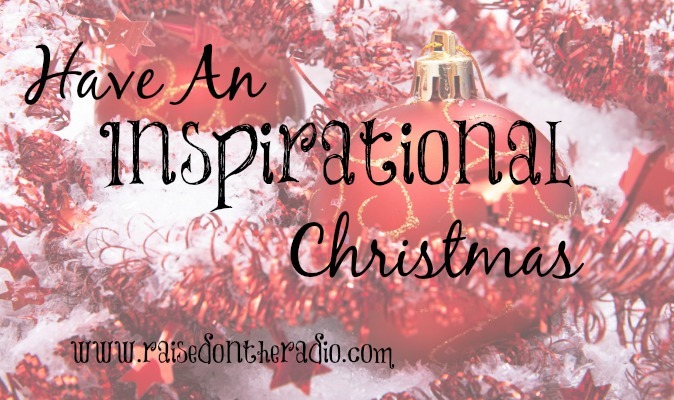 And so I bring you a list of inspirational Christmas music for your Christmas Playlist. Inspirational Christmas Music by Some of Your Favorites and Some New Artists Too! As always the first link will take you to YouTube, the second link will take you to *iTunes so you can add these great songs to your own playlist! The First Noel – Ella Fitzgerald – A Swinging Carol as only Ella could sing. Mary’s Boy Child – Harry Belafonte – A song I have only heard by Harry and his unique sound is the only one for this song. Hark the Herald Angels Sing – Neil Diamond – Add a few gospel singers and you’ve never heard this carol done quite like this! O Come, O Come Emmanuel – Kelly Clarkson – Her gorgeous voice is perfect for this song. Oh Holy Night – Celtic Woman – These woman are amazing, the pure emotion in this song is worth listening for. Carol of the Bells – The Carpenters – A rare instrumental by the Carpenters, although there are lyrics to this song, the instrumental is always the favorite. Away in a Manger – Casting Crowns – A contemporary band does an amazing version with this delicate song. Do You Hear What I Hear – Bing Crosby – A classic inspirational christmas music list must always include Bing Crosby. What Child is This? – Andre Bocelli and Mary J Blige – This unexpected pairing, makes for one of the most beautiful carols I have heard. Silent Night – Mariah Carey – Her voice is so perfect for this song, she doesn’t try to change it and sings it as it should be sung. God Rest Ye Merry Gentleman/ Joy to the World – The Brothers Cazimero – This Hawaiian band does the most amazing version of these songs, if nothing else, you must hear this. Angels We Have Heard on High – Josh Groban with Brian McKnight – Josh and Brian have the perfect voices to do justice to this classic carol. O Little Town of Bethlehem – Nat King Cole – The quintessential holiday voice, he must be on every Christmas Playlist! The Little Drummer Boy – Go Fish – I found this band by accident and am so glad I did, an amazing a capella version of this song! This is one of my favorites, it’s on the list, but if this is the only one you listen to, it will be well worth it! If you enjoyed this playlist, check out my other playlists. Holiday playlists are a lot of fun, and I have fun making them! If you don’t want to miss one make sure you tell me by signing up for my email list, I will only email you new posts, no spam ever! Promise! Two of my favorites for this kind of list: Mary Did You Know? Wynonna Judd and “Who Would Imagine a King” by Whitney Houston. They are songs that bring me to my knees every time, especially after I became a mother. So glad to see these lists and YOU in my email stream. I’ve missed you.